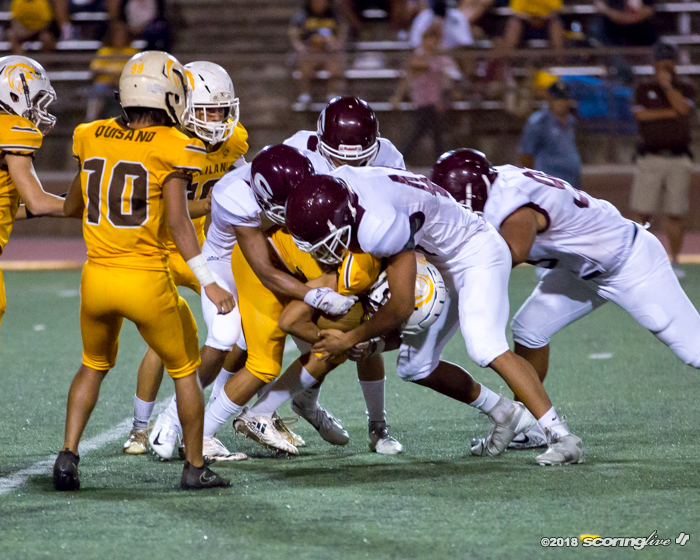 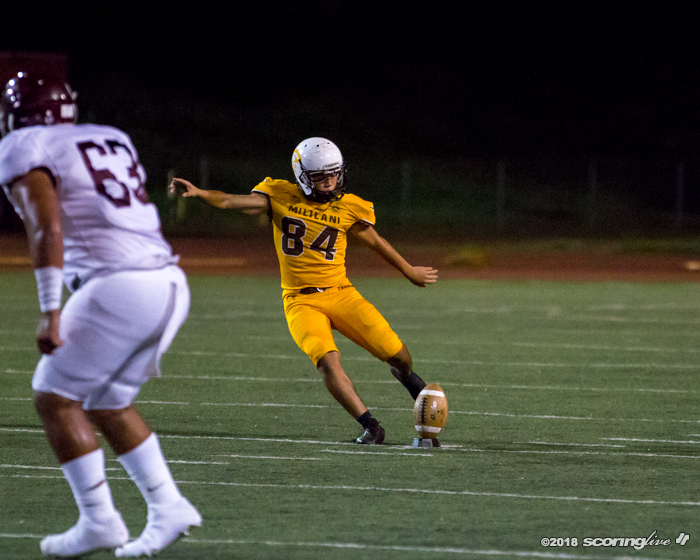 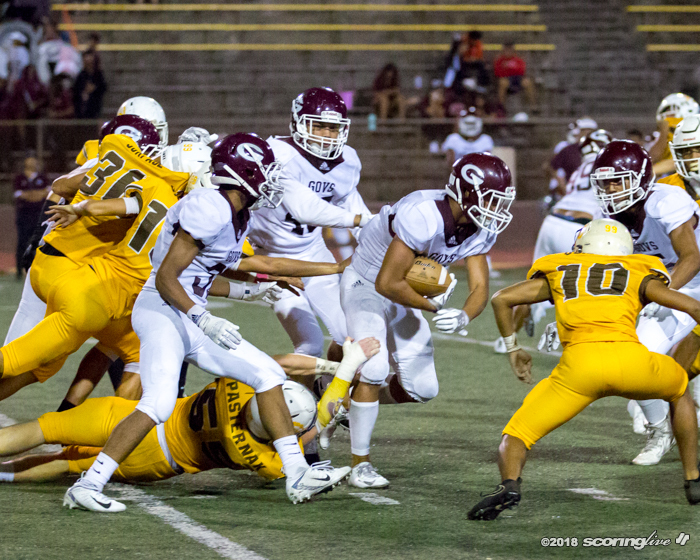 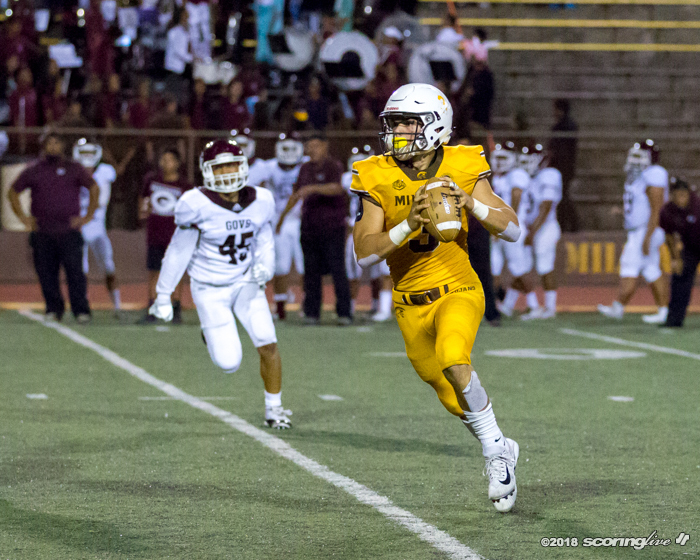 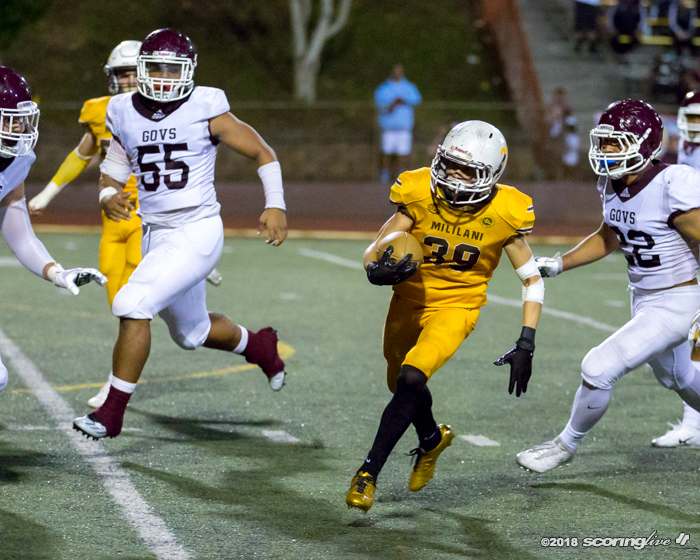 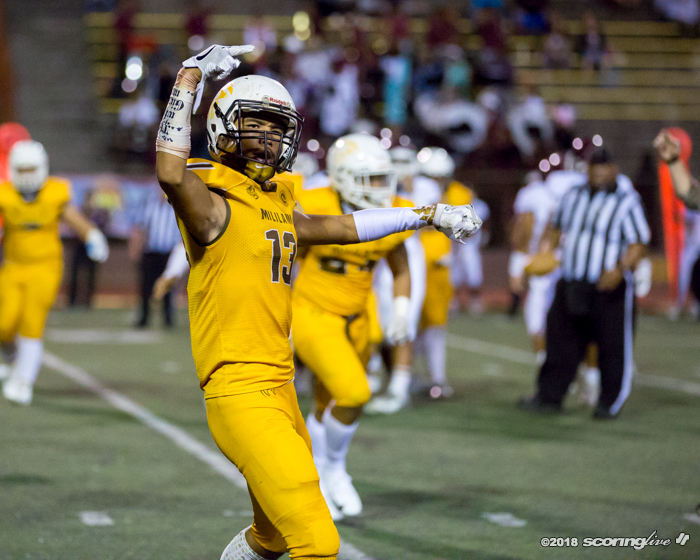 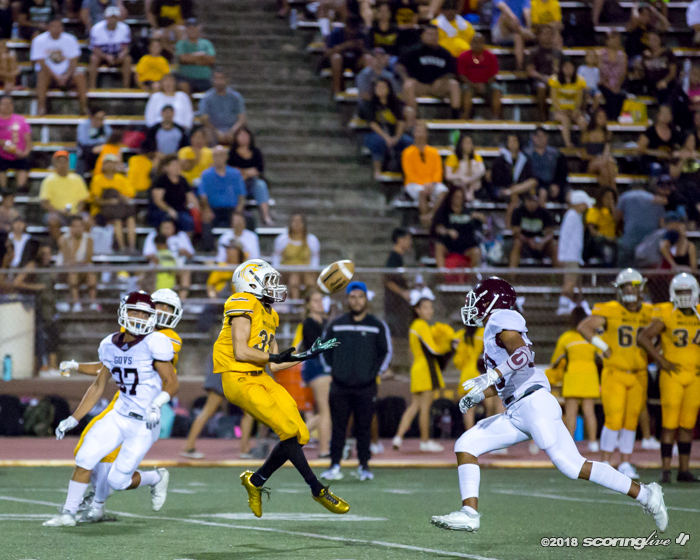 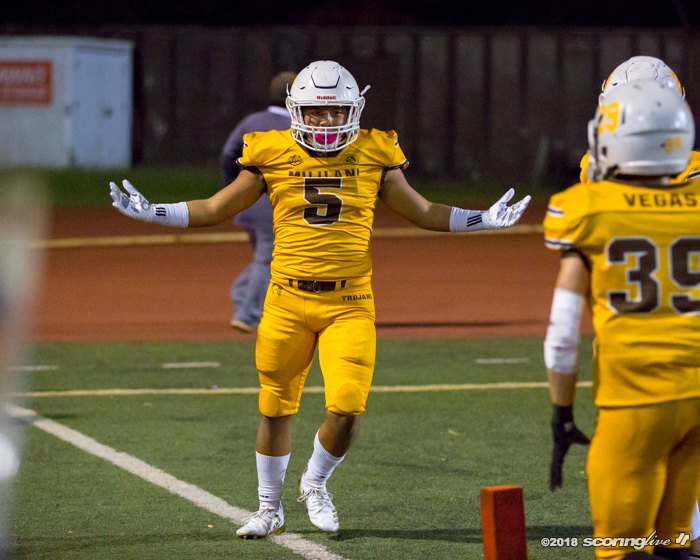 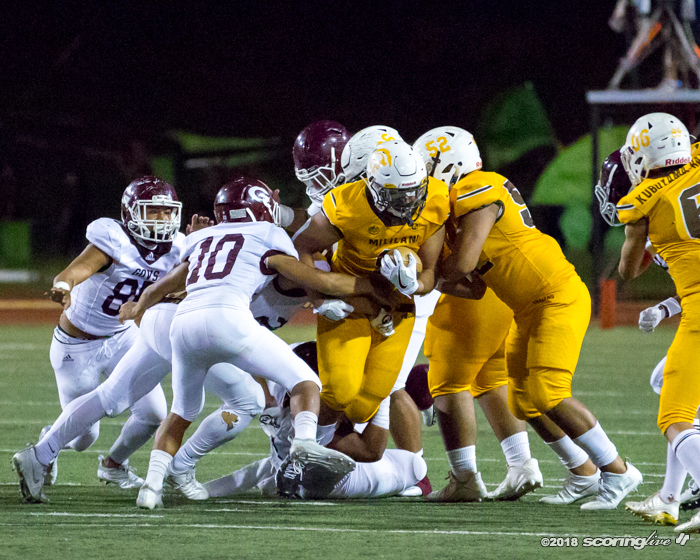 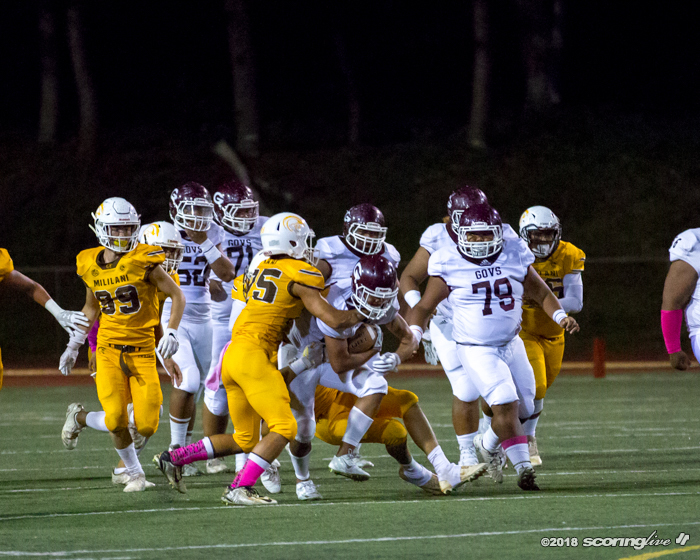 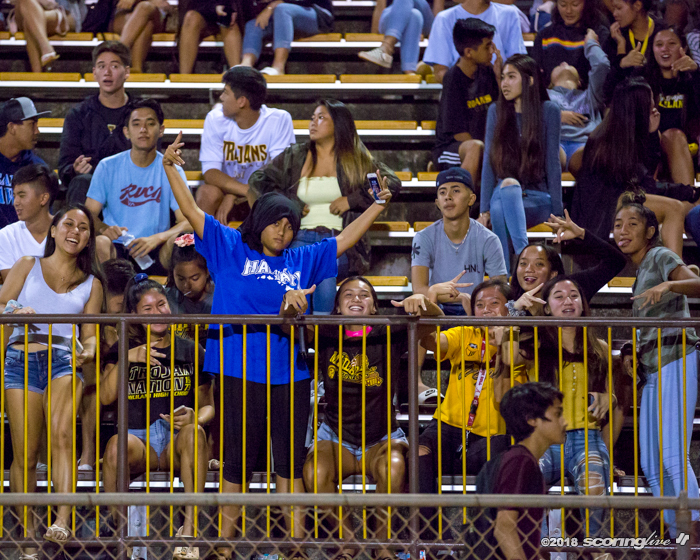 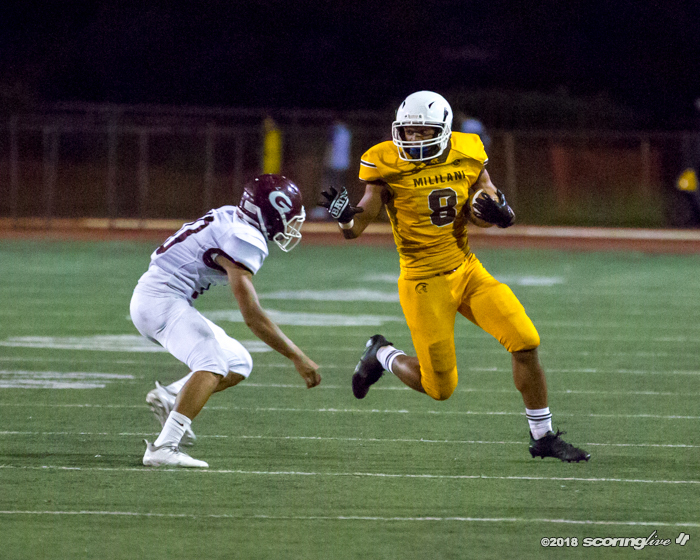 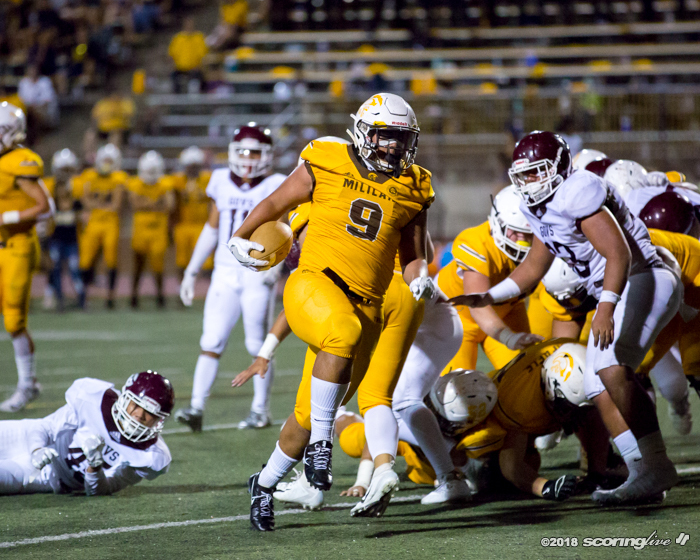 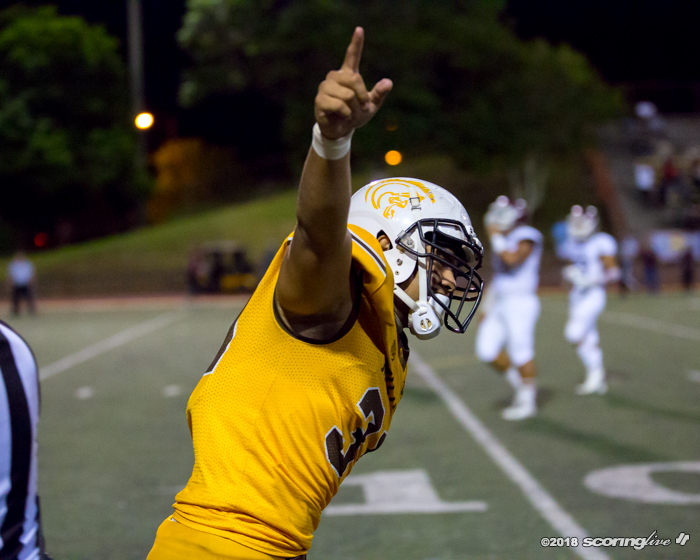 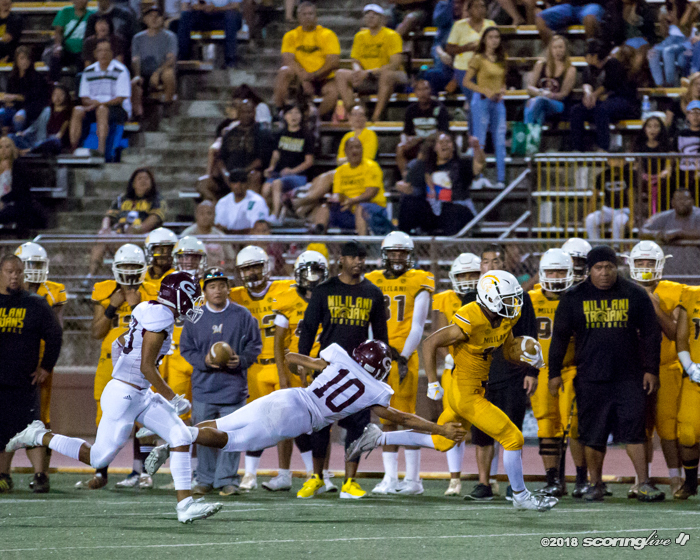 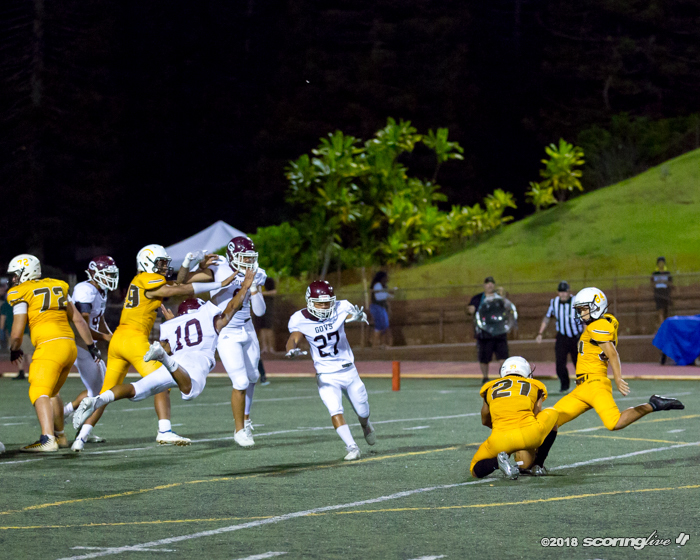 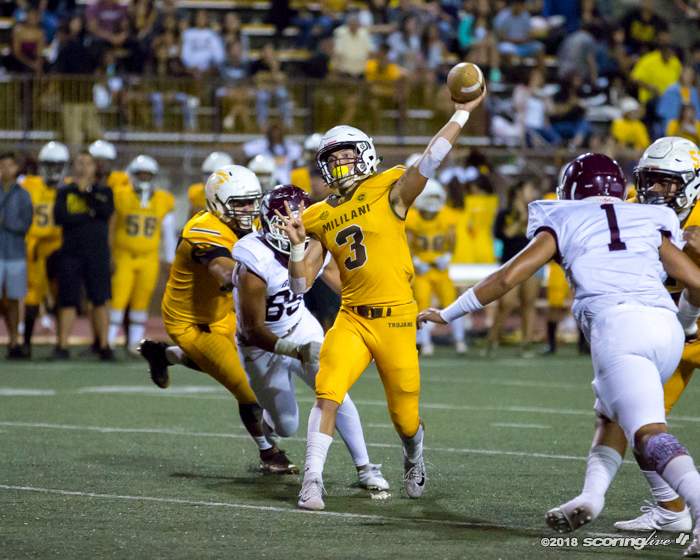 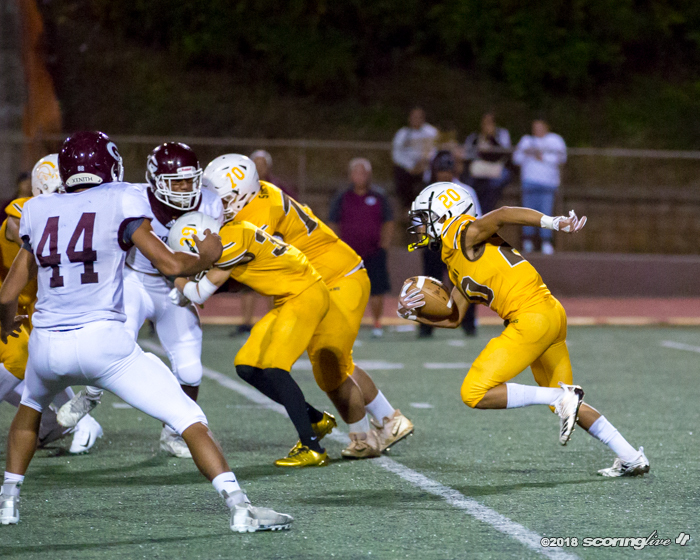 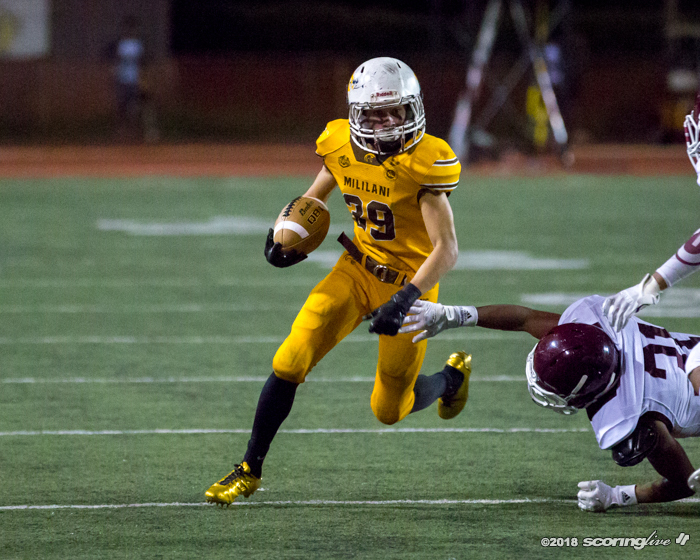 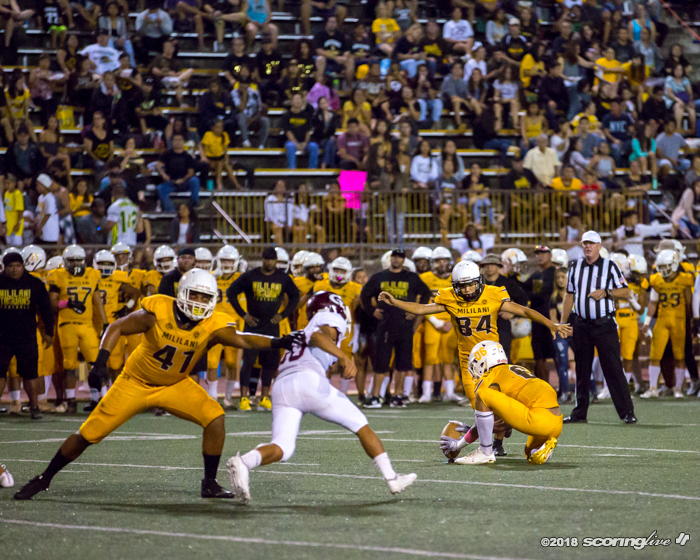 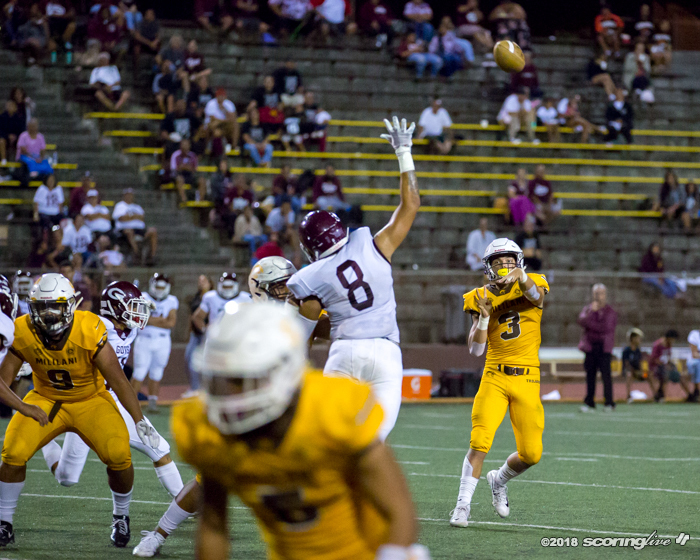 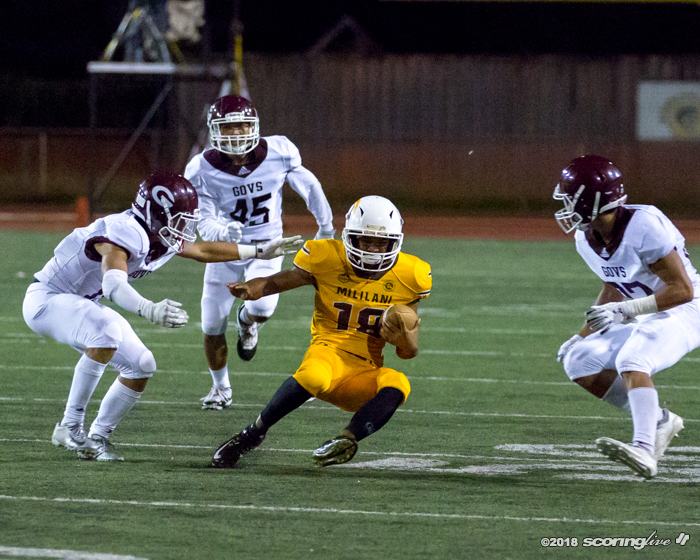 Mililani defeated Farrington for the second time this season Saturday night in a 47-7 OIA Open Division semifinal victory at John Kauinana Stadium. 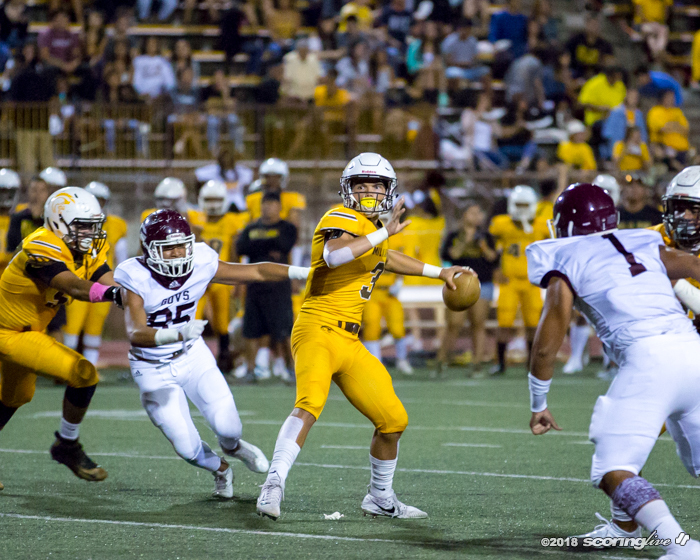 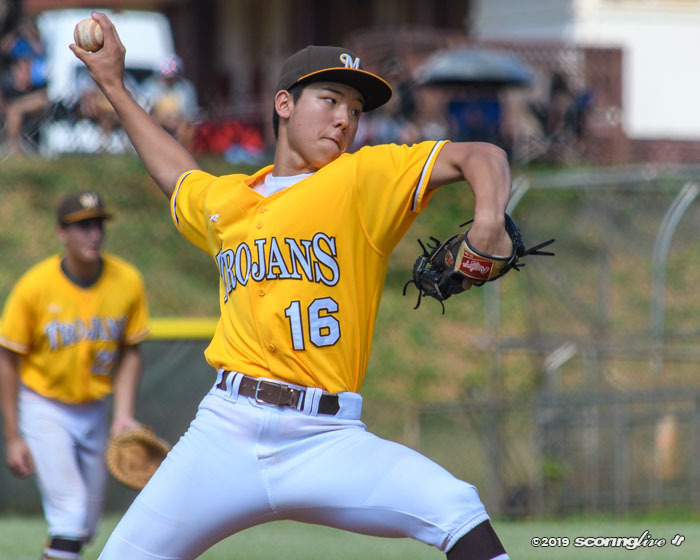 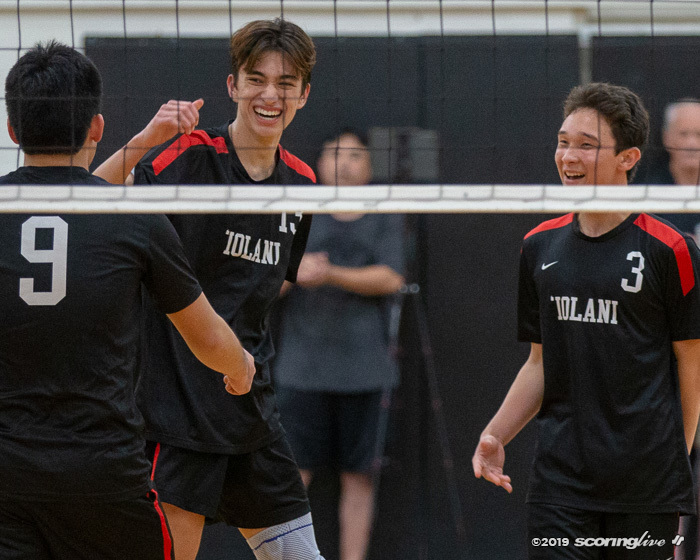 Dillon Gabriel threw four touchdown passes to power the Trojans (8-2) into next Friday's championship game against Kahuku, who Mililani beat in the regular season, 38-10. 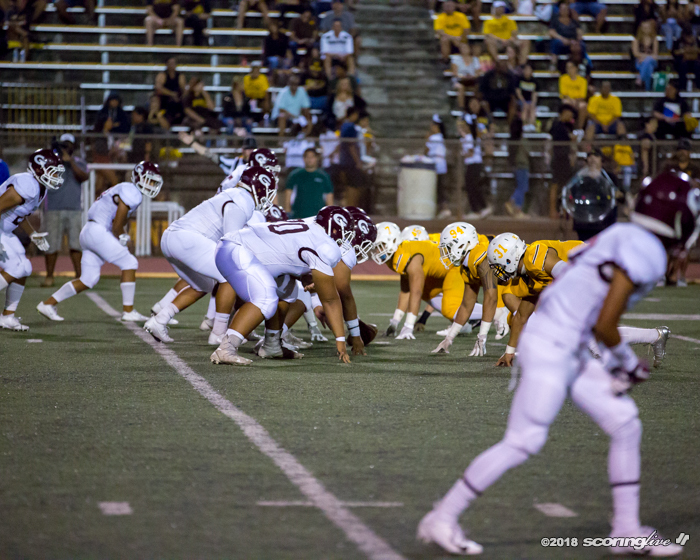 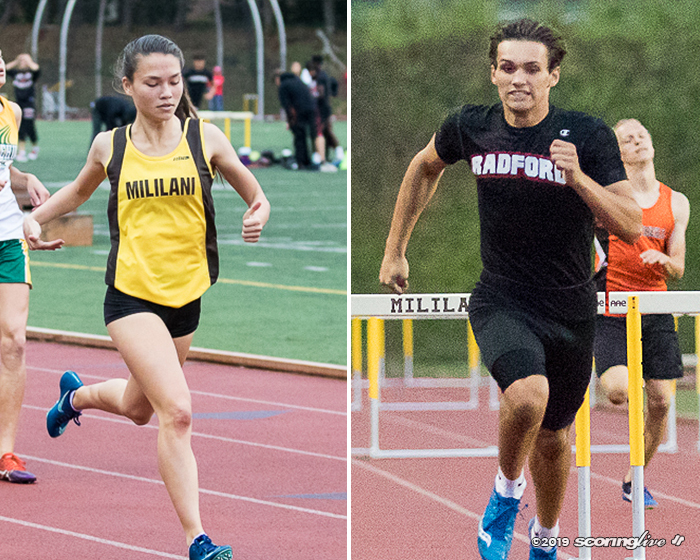 Both teams have already locked up state berths. 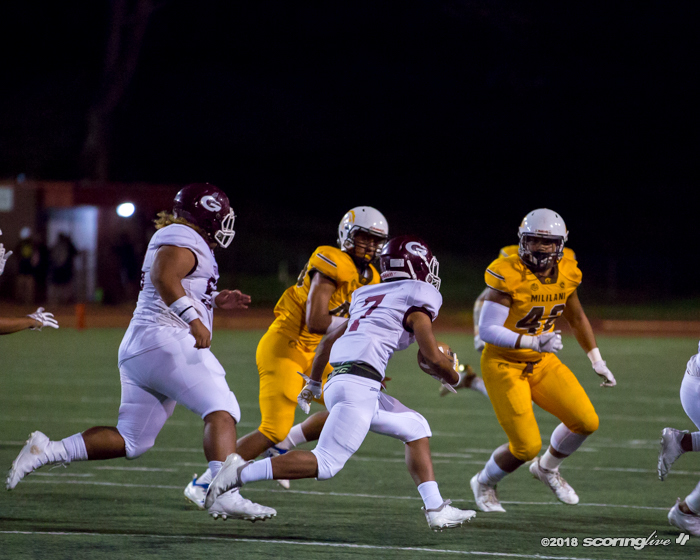 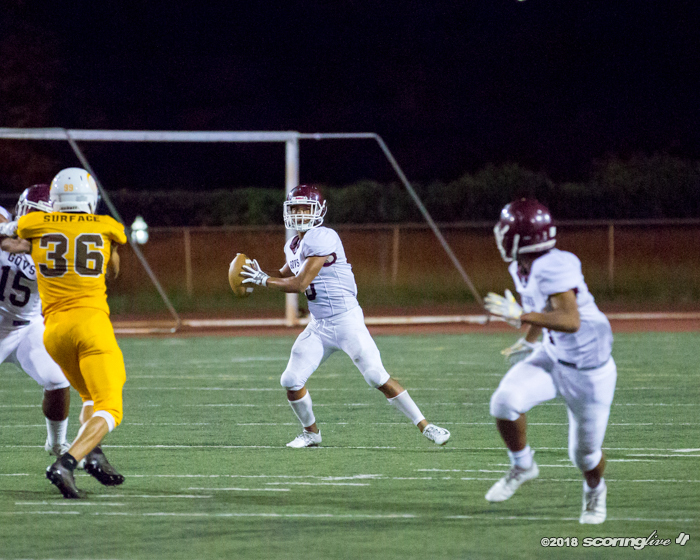 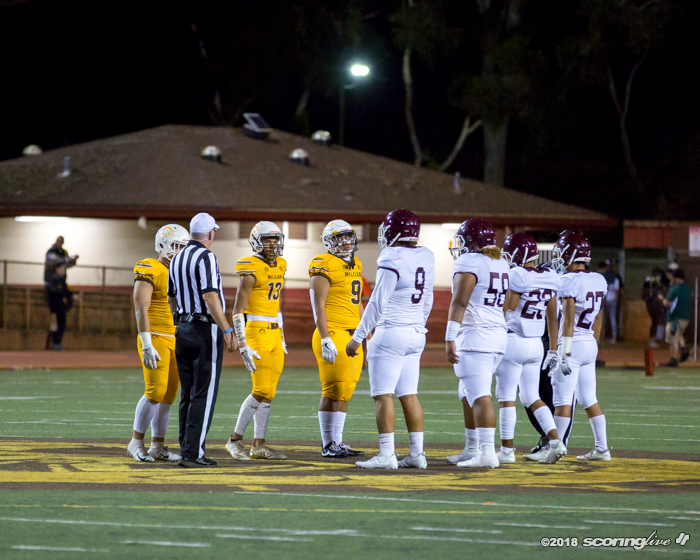 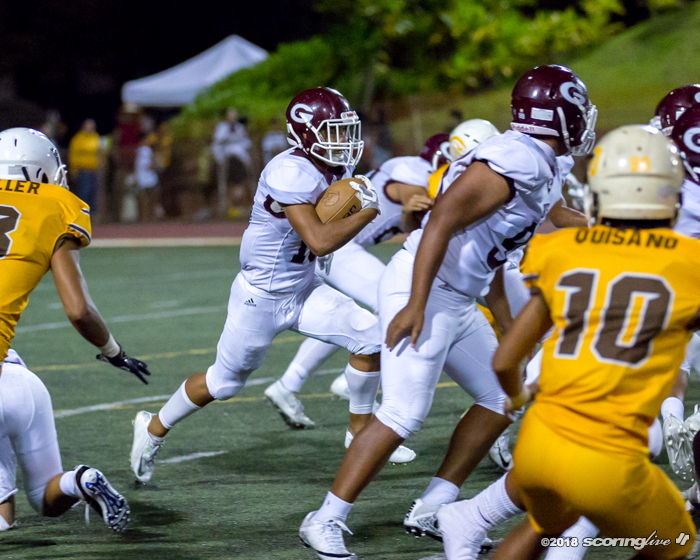 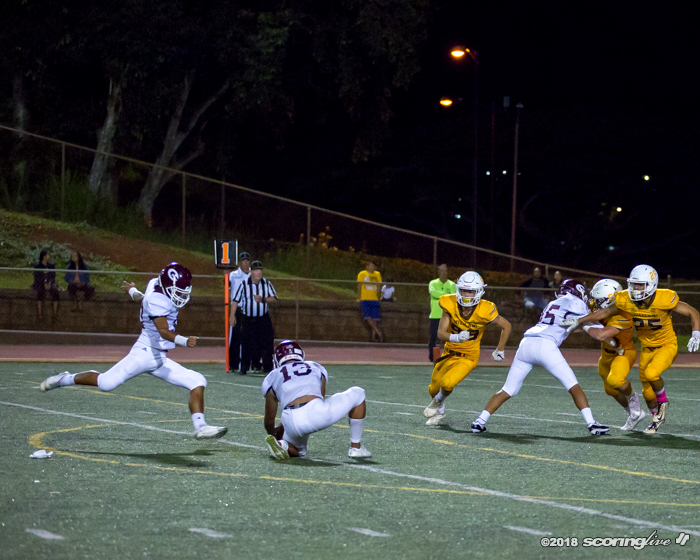 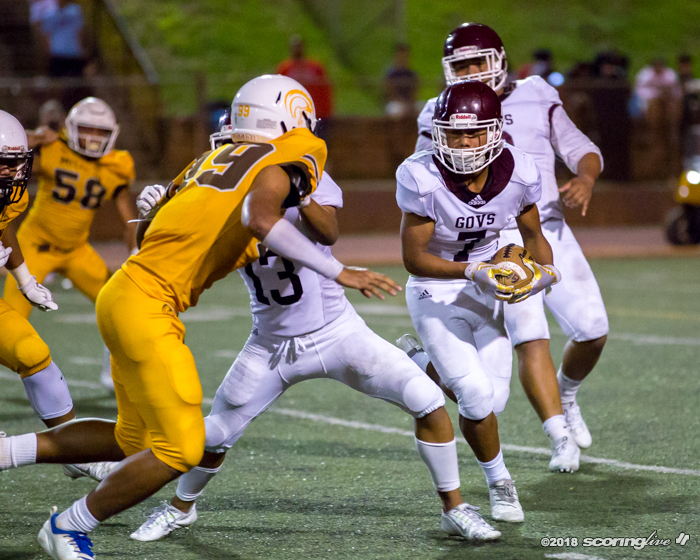 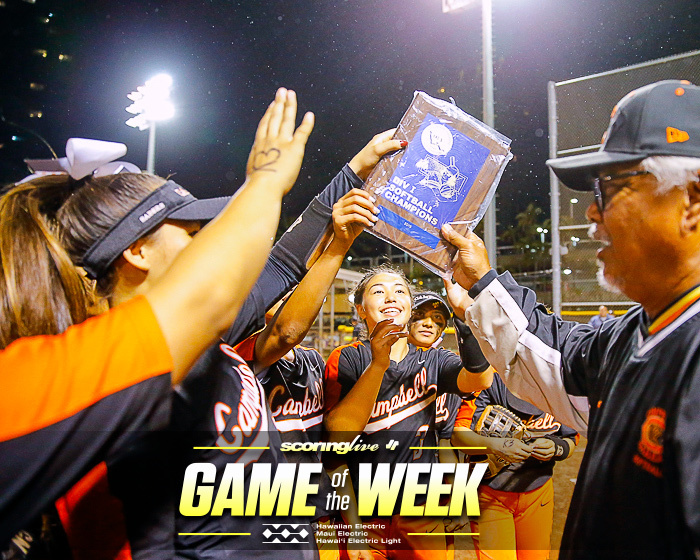 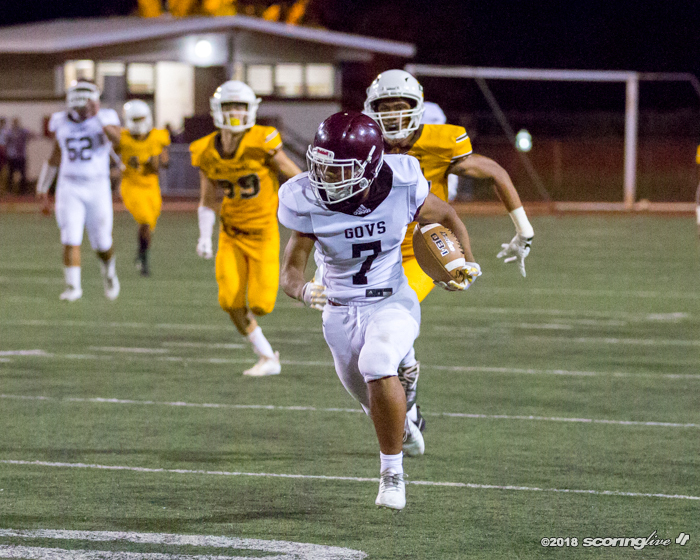 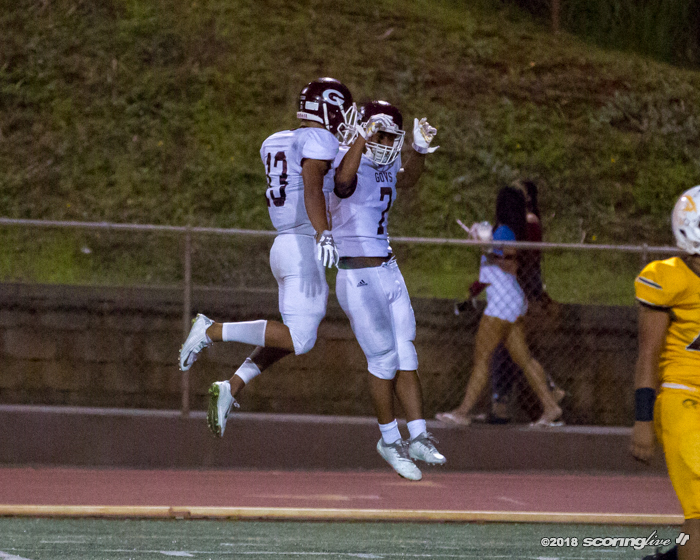 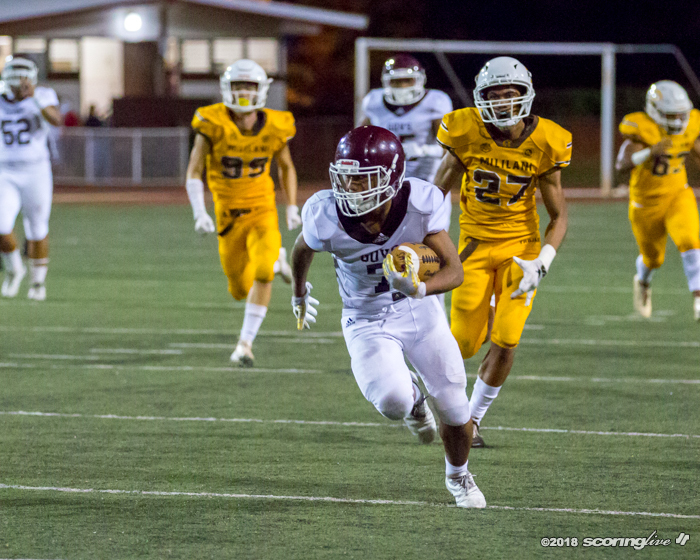 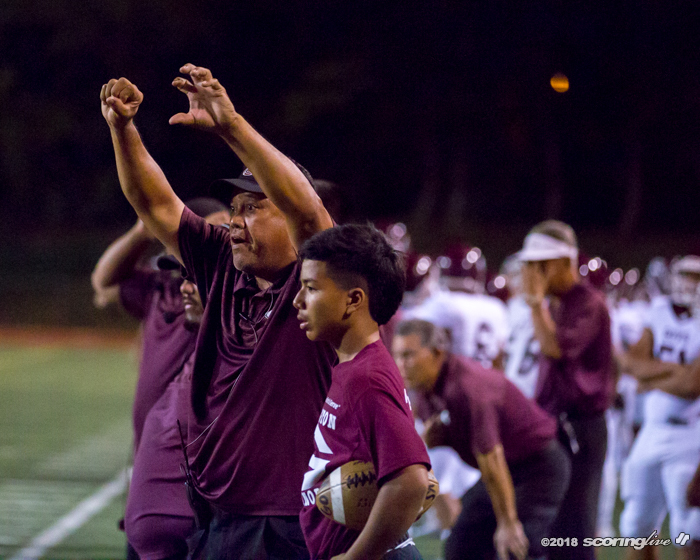 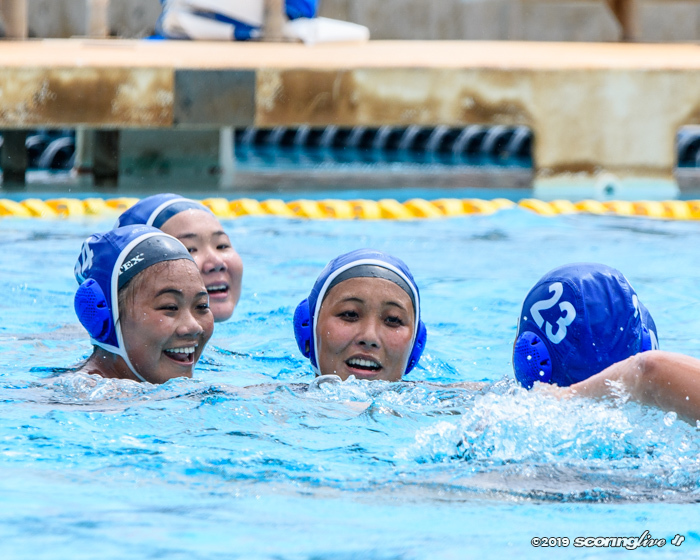 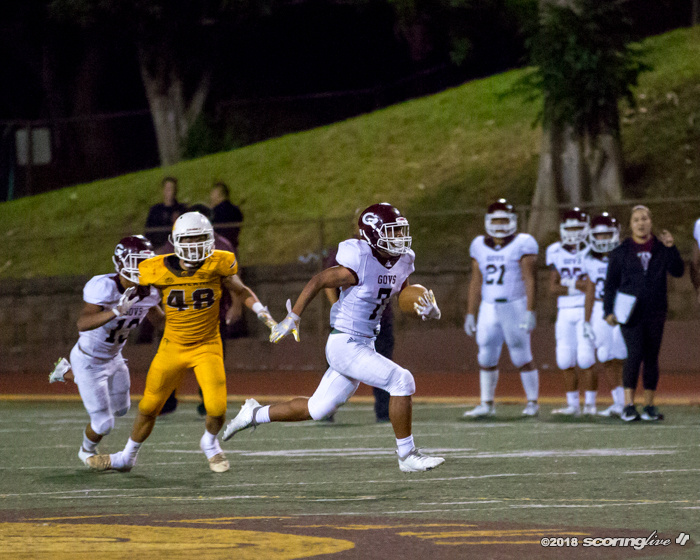 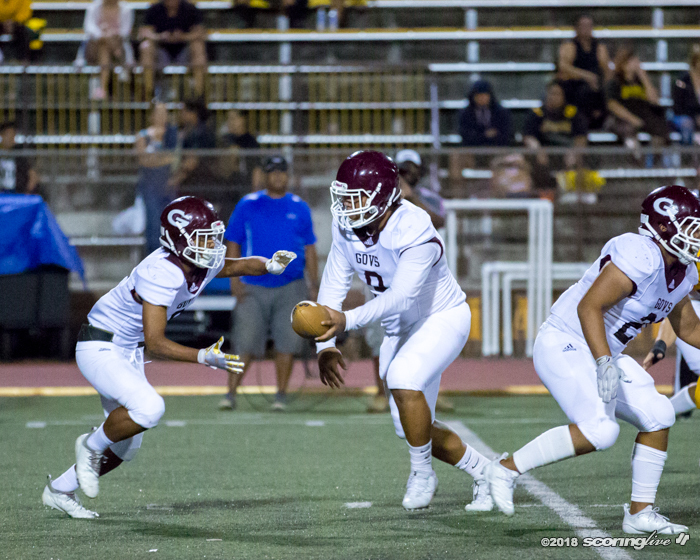 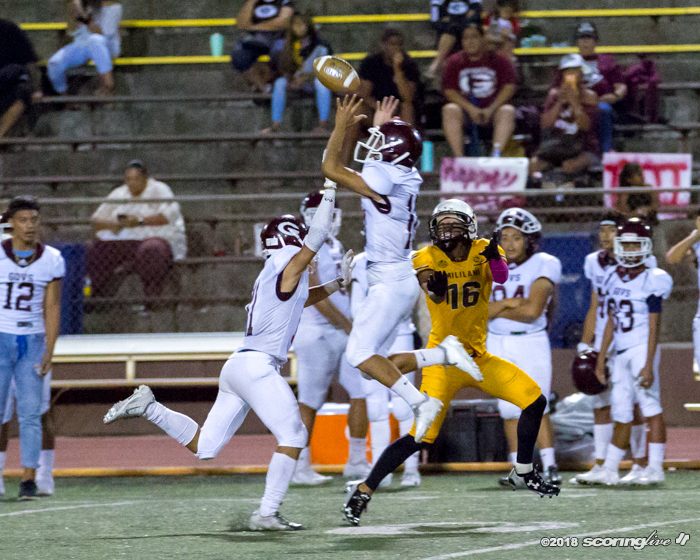 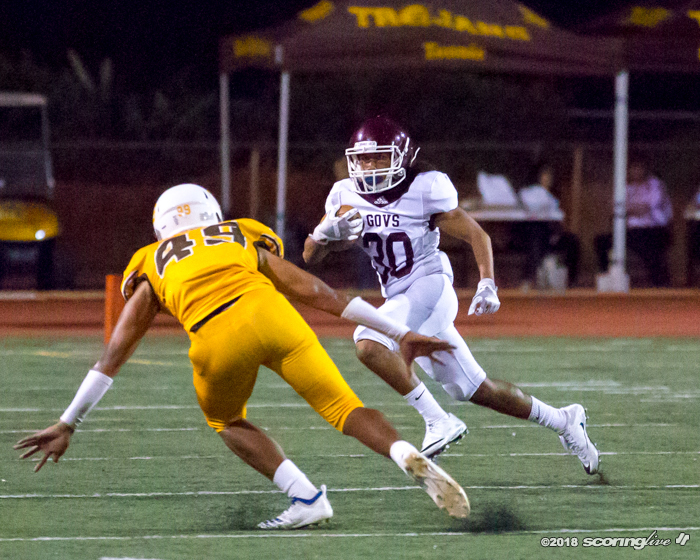 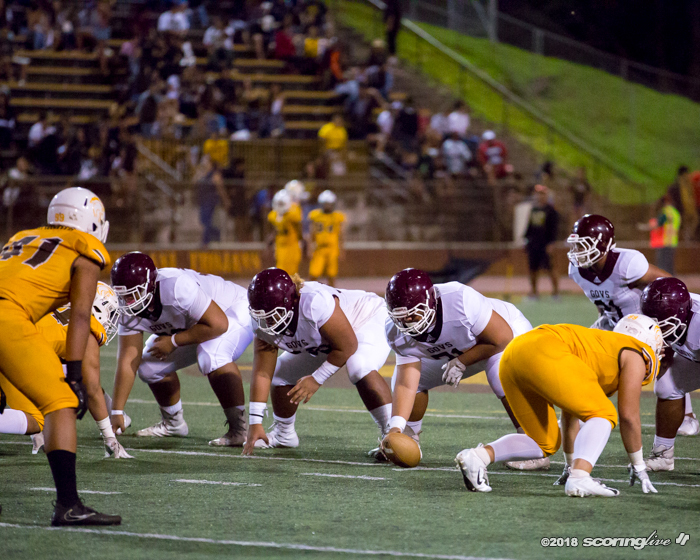 Farrington (2-9), who won a three-way coin flip to get into the league playoffs, will face off against Campbell for the OIA's third and final berth into the Division I-Open State Championships. 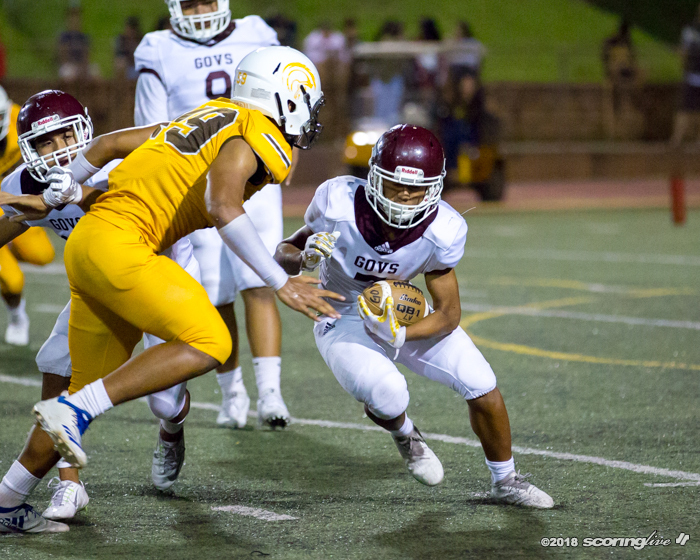 Both games will be held at Aloha Stadium. 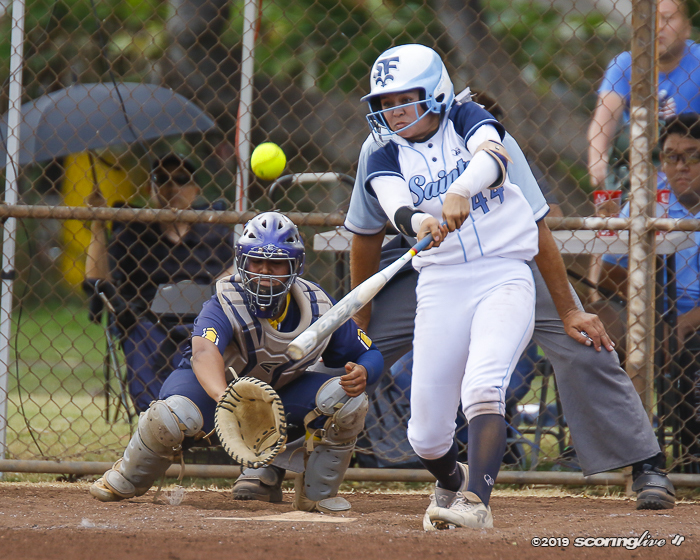 The third place game is slated to start at 5:00 p.m., with the championship game to follow 30 minutes after the conclusion of the first game.